Garland Nursery is proud to offer rental of outdoor plants for all your occasions. A Garland Nursery Representative will be happy to assist you in your selection. We rent plants on a 1 day basis. 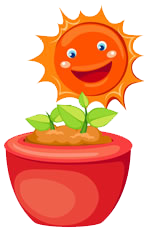 Indoor houseplants, annuals, perennials, and plants in bloom are not available to be rented. Outdoor plants can not be indoors longer than three days. The cost of the rental will be 20% of the total retail value of the merchandise. A deposit of 50% of the retail value is required for all the plant rentals. This is a separate check from the rental cost that will be issued back to the customer upon the return of the merchandise in good condition. Plants not returned in good condition will be charged to you the full retail price. Any tags not returned in the proper plant will be charged $1.00 per tag. Plants must be watered properly during the course of their rental. During the summer this may mean checking water once or twice a day. Covered vehicles are required for transporting all plants. Plants and trees too large to be carried in a covered truck will not be rented. Garland Nursery can deliver and/ or pick-up the plant rentals within a 10 mile radius of the Nursery. The charge for deliveries or pick-ups is $35.00. Deliveries and pick-ups can only be made Monday thru Friday from 10am-4:30pm. Saturday and Sunday deliveries and pick-ups must be pre-approved. Mirage Metal arbors are also available for rent. The cost is 15% of the total retail value of the arbor. Subject to availability on hand. This is the only non-plant item that is available to rent. Pots, screens, fountains and other hard goods are not to be rented.